It’s only a slight exaggeration to say that Singapore lies at the crossroads of the world. This prosperous nation-state sits atop the Strait of Malacca, the most direct shipping lane between the Indian and Pacific Oceans — and, therefore, among the world’s five most crucial bottlenecks for international commerce. Singapore isn’t just a crucial node for global trade, of course. It’s a dense, thriving metropolis — part city, part independent country — that’s routinely hailed for high human development rankings, healthcare outcomes, and overall quality of life. This all makes Singapore a desirable, if competitive, place to do business. If you’re planning your first business trip to this tiny but potent island nation, or you’re thinking about opening a satellite office here, read on to learn about the local customs and logistical considerations you’ll need to understand before you arrive. English is the de facto language of business in Singapore, but many locals speak Malay, Chinese, and assorted other Asia-Pacific languages as well. Even if you can muster just a few words in these dialects, you may garner respect from local business contacts who would otherwise view you as an outsider. 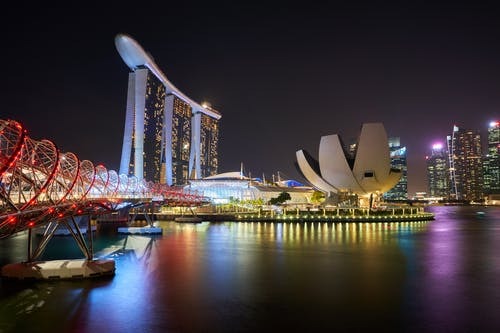 Although Singapore is a business-friendly country, local laws and regulations do not precisely mirror those found in the North American and European countries with which you may have more experience. It’s therefore essential to work with local business partners from the start; those with complex financial needs might turn to an Asia-Pacific trust and corporate services firm like Asiaciti Trust, for instance. Singaporeans pride themselves on promptness. “If you’re not five minutes early, you’re late,” applies here. Whatever else you do, be sure to arrive before meetings’ scheduled start time, no matter how trivial you expect the matters discussed to be. Singaporeans are customarily deferential to authority. In business settings, this means that one’s seniority and position within the organizational hierarchy are to be respected above all else. When meeting business contacts for the first time, begin by addressing yourself to the leader or most senior representative and working down the hierarchy. Silicon Valley, Singapore is not; formal business attire is a must at all times here. Given Singapore’s perennially muggy climate, this is unfortunate, but visitors adapt quickly. Besides, most office buildings and restaurants have air conditioning. Before you arrive in Singapore for the first time, be sure to review the country’s entry requirements for foreigners. Even if you expect to have little difficulty meeting the requirements, you’ll want to know what to expect; entering Singapore is not quite as easy as moving between European Union nations, for instance. Singapore is home to more than 5.5 million souls. Despite its diminutive footprint, the place manages to add population each year. Are you ready to count yourself among Singapore’s new arrivals? Finding a home at the crossroads of the world isn’t as difficult as you might imagine. If you can successfully weather the first bouts of culture shock and commit to making the most of your time here, you’ll thrive in this hardworking metropolis. Fate willing, so will your business.